One DeKalb County School District (DCSD) employee has traveled Washington D.C. to begin the journey of a lifetime—the first of many stops in a quest for education. His mission? To memorialize one World War II service member who never made it home, joining seven others in invigorating the study of history in American classrooms. 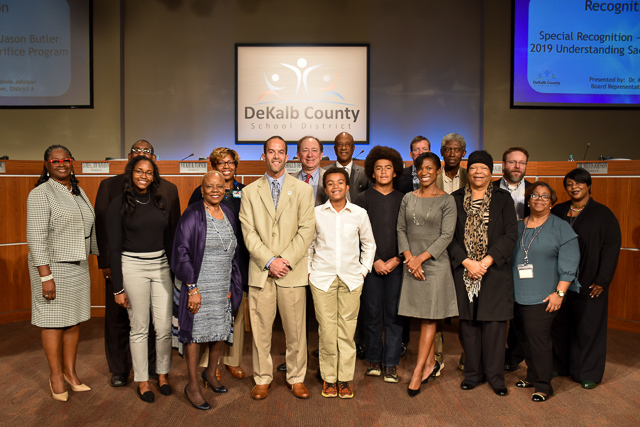 Jason Butler, former social studies professor at DeKalb Early College Academy (DECA) and current DCSD professional development facilitator, was named one of eight participants in the Understanding Sacrifice program by the American Battle Monuments Commission and National History Day. Throughout the 2018-2019 school year, Butler will travel to Washington D.C. and Europe to advance his studies. Understanding Sacrifice engages teachers with World War II research through primary and secondary sources, virtual lectures, and online discussions. Each selectee studies one fallen World War II veteran and publishes their research online. The collaborations support the development of lesson plans and profiles of World War II service workers, which will eventually be published on ABMCeducation.org. A 15-year education veteran, Butler has always had a passion for history. 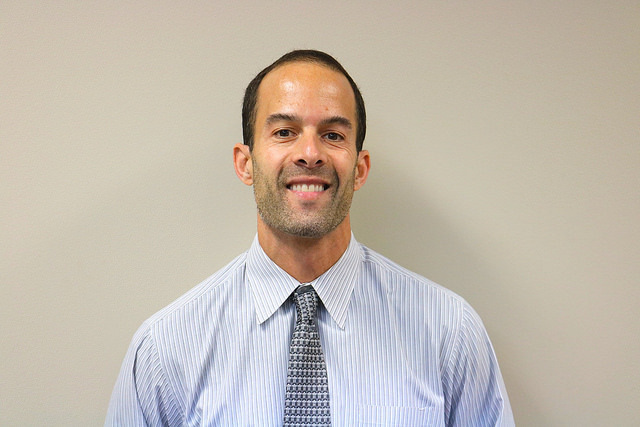 Throughout his time at DCSD, he has taught U.S. history, civics, world geography, world history, senior literature and Spanish at all levels, including Advanced Placement (AP). Butler is looking forward to adding even more to his skillset as a scholar. Specifically, Butler hopes he will gain exposure to new strategies, resources, tools, as well as access to primary resources. Primary resources are firsthand accounts of historical events, which often arrive in the form of a letter, journal entry, or day-of newspaper article. Primary sources are indispensable in the realm of history, and Butler hopes further access will expand his views on World War II in general. Butler says primary sources allow students to think about history in new, exciting, and engaging ways. Butler calls this “thinking like a historian,” or relying more on scholarly interpretation and critical thinking than memorization. He says it’s important to challenge students to place themselves in certain situations and consider context. 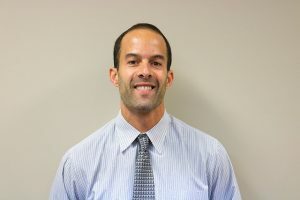 Butler also hopes the program will also add to his new role as a professional learning facilitator, a position that calls for supporting social studies teachers districtwide in developing strategies for helping students perform research, seek out primary sources, and engage with elements of the past. World War II is a passionate subject for Butler, who looks at the conflict as one that helped shape the modern world. Beyond those facts, Butler is quick to point out that World War II is the last war to unify the population behind a single effort. People on the home front, in all aspects, worked jobs to support the war effort. This expanded beyond racial, cultural, or religious barriers. Beyond general knowledge, Butler is excited to learn more about soldiers who haven’t made it to history books. Honoring fallen soldiers is nothing new for Butler. Beyond the normal curriculum, during the 206-2017 school year, he took part in Sacrifice for Freedom® Albert H. Small Student & Teacher Institute program through National History Day with DECA valedictorian Sydnie Cobb. That program, like Understanding Sacrifice, allowed Butler to travel to Normandy and study American World War II veterans who perished on foreign soil. Online discussions between other Understanding Sacrifice selectees is already taking place, Butler said. Beyond that, Butler will choose a soldier to honor, develop a website based on that soldier, produce education materials on that soldier, and eventually deliver a eulogy at their gravesite. Butler hopes to mimic the new will be just as successful and allow him to evolve the discipline of history in education. He hopes other educators in DCSD and beyond will follow his example of pursuing interests—both in academia and beyond.